Showing 43 articles from February 3, 2016. FRANKLIN COUNTY -- The area's district attorney has given sweepstakes cafe operators until this weekend to shut down. "There would be a criminal investigation of anyone that remained open after that," said District Attorney Mike Waters. 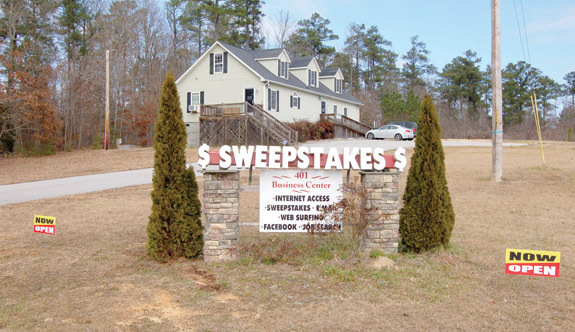 On Jan. 6, officers with the NC Alcohol Law Enforcement agency hand delivered cease and desist letters to the 21 Internet cafe operators within Waters' prosecutorial district -- which includes Franklin, Granville, Vance and Warren counties. LOUISBURG -- Franklin County officials agreed to host a public hearing to determine if they'll increase an incentive to a project still fighting to get off the ground. Last January, Franklin County commissioners agreed to provide S.L. 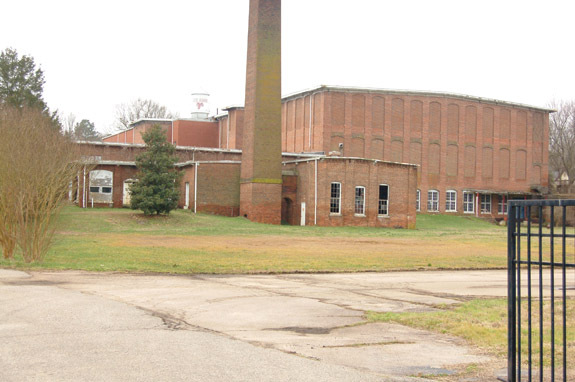 Nusbaum with $58,000 in incentives to put toward its efforts to transform the Sterling Cotton Mill into a mix of residential and commercial space. It could also include space for a police substation, staff said. LOUISBURG -- A longtime attorney, military man and advocate for children passed away suddenly this week. "He was a very good man," said Guin's longtime friend and law partner, Darnell Batton. "His death will be a loss to so many," Batton said. "... He was a good lawyer and a good friend. "The legal community is in shock." 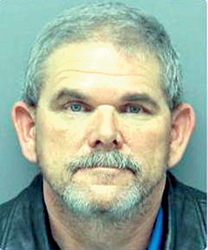 LOUISBURG -- A former law enforcement officer accused of stealing from the sheriff's office is to appear in Franklin County District Court next week. That court date comes two weeks after a Wake County judge issued a domestic violence protective order in a Wake County case that served as the catalyst for all the legal trouble facing Dwayne Collins. On Nov. 9, according to Wake Forest authorities, Collins and a 25-year-old woman reported to police that someone broke into her home, stealing Collins' firearm and the woman's cellphone. A new park is affordable but is it a wise move? The question I'm hearing asked is whether Franklin County can afford to invest another half-million-plus in the proposed Owen's Park project. The better question is whether it will be worth the cost. The county has nearly an $80 million annual budget -- and park costs will be spread over several years so, financially speaking, it's no big deal. Perhaps it is naive to hope that a software fix will actually solve a real-life problem but here's hoping, desperately hoping, that it does. Although experience has taught us that software "fixes" often create a few new glitches, we're hoping that Franklin County proves to be the exception to that rule. Officials in the county's communication department are saying that a software update -- a fix -- will soon help make the county's $11 million radio system work. We certainly hope so! Lives are potentially at stake since the once-highly-touted radio system went live more than three years ago, but emergency responders, both police and fire, have found the system less than ideal. I tell you, it seems to me that once folks run out of fingers and toes, counting becomes a nearly impossible endeavor. At least that seems to be the case in politics. According to reports, the Iowa caucuses devolved into chaos because of a close count. According to those reports, chaos in precinct and computer glitches are giving rise to questions about the accuracy of the count and the winner on the Democrat ticket. Jane Mayer's recently released book, Dark Money: The Hidden History of the Billionaires Behind the Rise of the Radical Right, reveals the extent to which big money, often from out of state and the pockets of a few, is affecting elections right here in Franklin County. 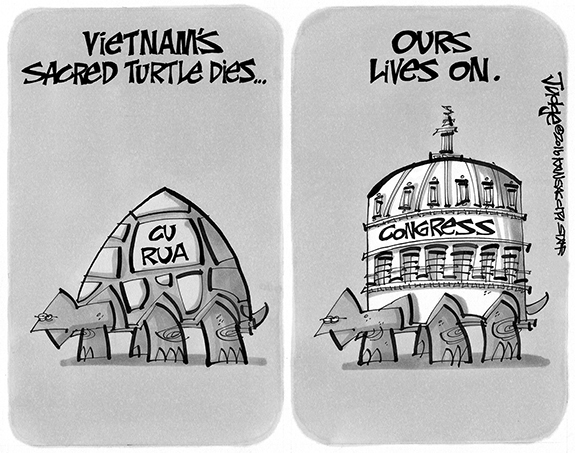 2010 was the year long-time Republican operative Ed Gillespie launched the REDistricting MAjority Project, (REDMAP). What Gillespie realized and sold to the likes of the Koch brothers and Art Pope was the fact that it was a lot less expensive to "buy" a bunch of state legislature seats than statewide or national ones. As of today, there are 27 days until early voting starts for the 2016 Primary election. While many are focused on the Presidential Primary, and important it is, local elections are most important. 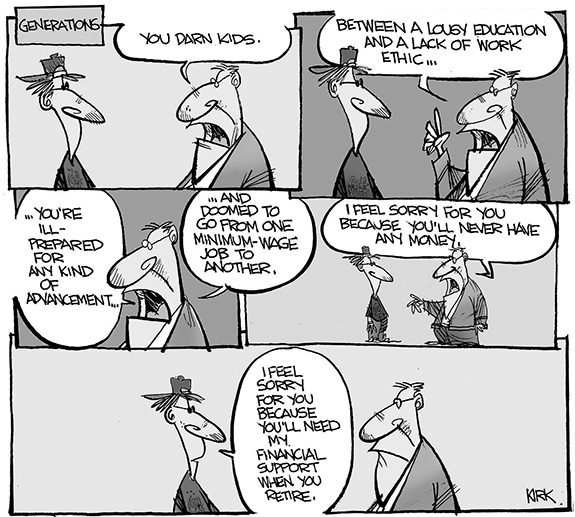 You decide to work and send your children to school. Those you elect decide if you will have a place to work and if there will be a school to go to. FRANKLINTON - Janice Wall Phelps, 84, of Franklinton, went home to be with the Lord on Tuesday, February 2, 2016. She was born in Wake County, the daughter of the late Jesse Wall and Margaret Lee Beddingfield Wall and was a member of Union View Baptist Church where she served faithfully for over 40 years. She was married to Archer W. Phelps who preceded her in death. EPPS IN THE AIR. Louisburg's Kenan Epps (right) elevates for two points during last Wednesday's home setback over Southeast Halifax. 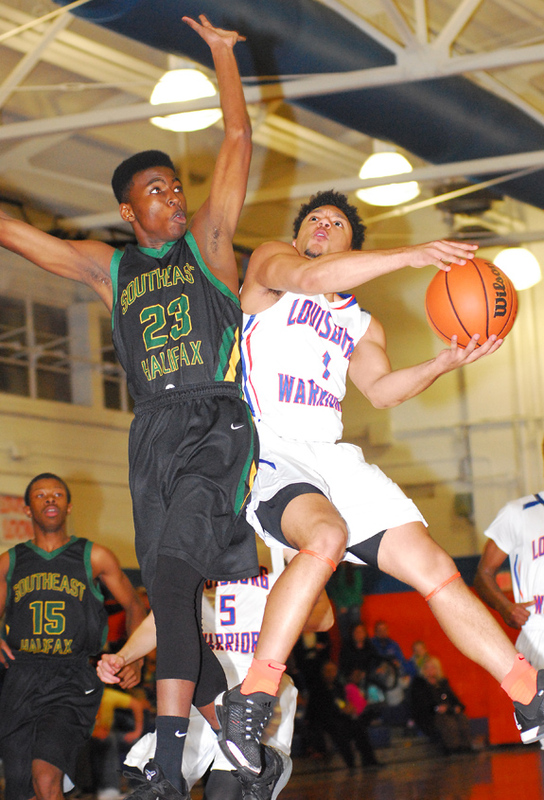 LOUISBURG - Following a disappointing loss to Southeast Halifax last Wednesday at home, the Louisburg Warriors bounced back with three consecutive victories on the boys basketball hardwood -- but even tougher challenges loom down the stretch for Coach Mike Sheldon's club. Louisburg is currently in a strong position in the Tar-Roanoke Athletic Conference -- but that status could have been even more solidified with a home decision versus Southeast. COOPER IN THE CLUTCH. 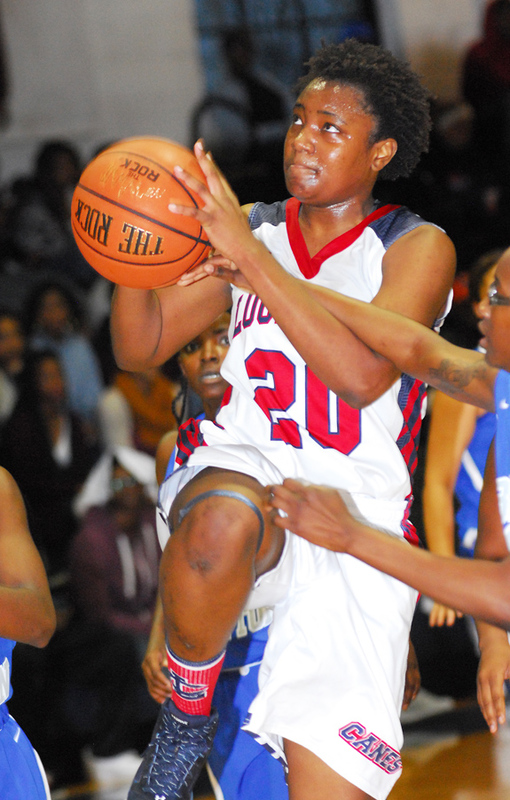 Louisburg College's Iresha Cooper scores in the paint last Wednesday against Bryant and Stratton. LOUISBURG -- When Louisburg College dropped a key Region X women's basketball matchup against Cape Fear last month, the Lady Hurricanes were controlled in the paint -- a deficiency that hasn't been much of an issue during the program's storied history. Faced with a similar proposition last Wednesday at home against league opponent Bryant and Stratton, the Lady Hurricanes made amends in a big way to thrill a huge crowd at Taylor Center on the LC campus. ON THE MOVE. Louisburg College's Deshawn High drives toward the basket last Wednesday against Wake Tech CC. 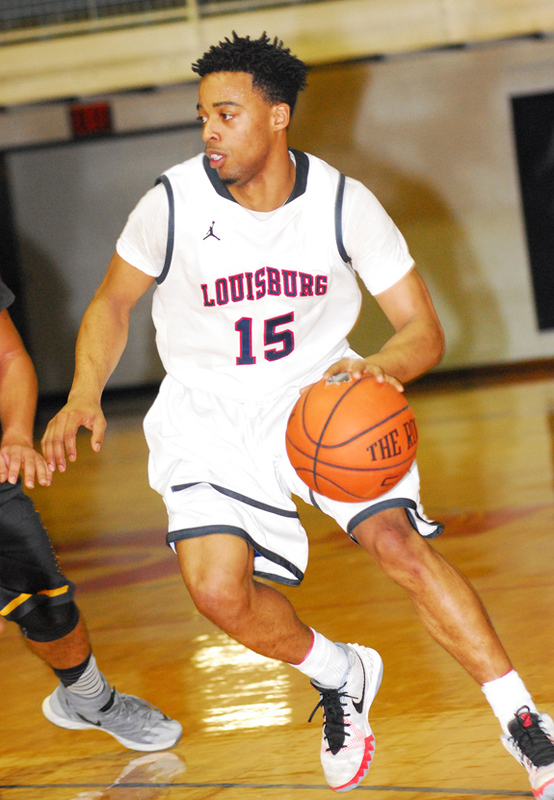 LOUISBURG -- Of the many intangibles displayed by the Louisburg College men's basketball team through the years, one of the most pertinent is the team's consistent ability to play well in front of large home crowds. That was once again the case last Wednesday as the Hurricanes soared past Wake Tech Community College as part of LC's annual Student-Athlete Awards Ceremony. FRANKLINTON -- After four seasons, Jeremy Buck will not be returning as the Franklinton High School head football coach. Franklinton went 29-18 overall during Buck's tenure and made the state playoffs in each of those campaigns. A LEADER ON BOTH SIDES OF THE BALL. 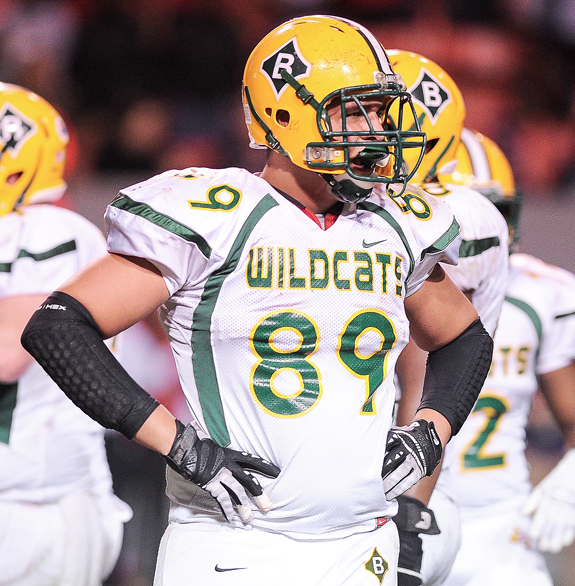 Ian Land excelled on both offense and defense during his football career at Bunn High School. Land has signed a letter-of-intent to join the gridiron program at the University of North Carolina-Pembroke. BUNN -- Coach David Howle expects his current senior class to be one of the most prolific in Bunn High School football history at earning college scholarships. Bunn's first domino fell Wednesday as Ian Land inked a letter-of-intent to join the program at UNC-Pembroke as part of National Signing Day. A tight end/defensive end at Bunn, Land was a three-year starter who earned All-Northern Carolina Conference honors as both a junior and senior. With Land playing a huge role on both sides of the ball, the Wildcats went 13-3 overall and reached the state finals for the first time in school history. SUPER SPIVEY. 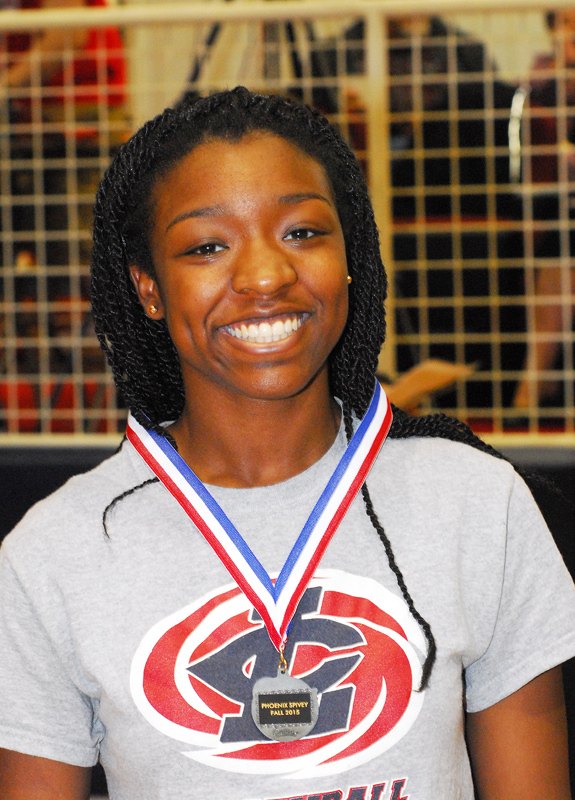 Former Louisburg High School spiker Phoenix Spivey was among the honorees. LOUISBURG -- Louisburg College's annual Student-Athlete Awards Ceremony is always a special night -- but it was made even more special this season. That's because the school set an all-time record for most medals awarded to its athletes. The ceremony has been held every winter for the past decade and salutes student-athletes who earn a grade-point average of 3.0 or higher. Medals are presented on gold, silver and bronze levels and are presented by Louisburg College Athletic Director Mike Holloman. BUNN -- Bunn's girls basketball team continues to vanquish all challengers in the improved Northern Carolina Conference. BHS, the defending NCC champion, remained undefeated in the league with some strong recent play, including a 69-42 home triumph Tuesday against Roanoke Rapids. Four players hit in double figures for the Ladycats, led by Bernadette Cooke with 20 markers. FRANKLINTON -- Thanks in part to five first-place finishers, the Franklinton Red Rams won the team championship at last Saturday's Northern Carolina Conference Wrestling Tournament at Roanoke Rapids High School. An individual format is utilized, but team scores are compiled at the end, and Franklinton was the runaway winner with 162 points. South Granville, the regular season dual title holder, was second at 148, followed by Bunn (71), North Carolina School of Science and Math (70.5), Durham School of Arts (67), Roanoke Rapids (64) and Southern Vance (58). CHAPEL HILL -- The Triangle's greatest rivalry heats up again, but this time on the big screen at Silverspot Cinema at University Place in Chapel Hill. Silverspot and GreatestFan will celebrate the Chapel Hill premiere of DUKE-CAROLINA: THE BLUE BLOOD RIVALRY on February 16 starting at 6 p.m. Fans are invited to walk the red carpet, mingle with other superfans and area legends from 6 p.m. to 7 p.m. The film shows at 7:30 p.m. and 9:30 p.m. WORKING FOR A GOOD CAUSE. 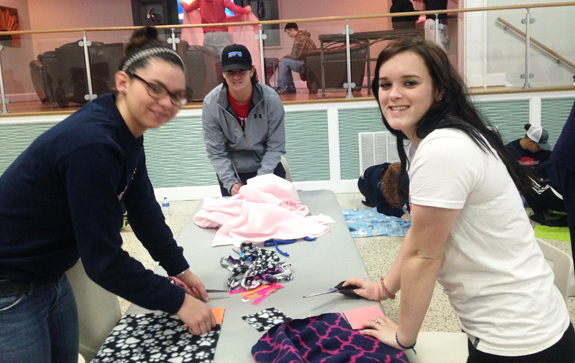 Louisburg College softball players Alana VanDenburg and Brooke Fletcher complete their blankets as part of a recent community service project. LOUISBURG -- The start of spring sports seasons is just two weeks away at Louisburg College, but members of the school's softball and baseball squads recently stepped away from the diamond to share some time giving back to the community. Student-athletes spent over three hours the morning of Jan. 26 making blankets for Project Linus, an organization that provides the blankets to critically ill children. CHAPEL HILL -- Sites are set for the North Carolina High School Athletic Association regional basketball finals slated for March 5. In Fayetteville, games will be played at both the Crown Arena and Crown Coliseum. Fayetteville has been the host city for the Eastern Regionals' Finals since the 2010-11 season. 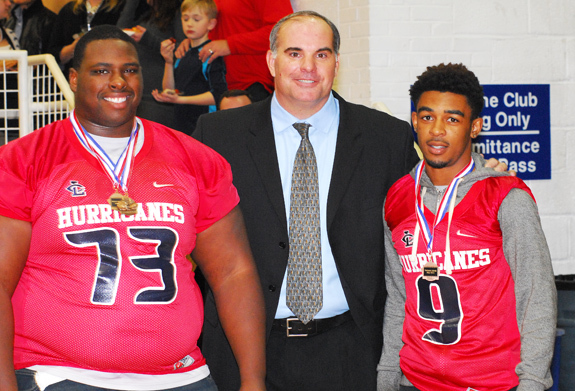 Bunn High School alum Ronnie Morrissette (l) and T.J. Jones (r) pose with Louisburg College football coach Trevor Highfield after accepting their medals at the LC Student-Athlete Awards Ceremony last Wednesday evening at Taylor Center. 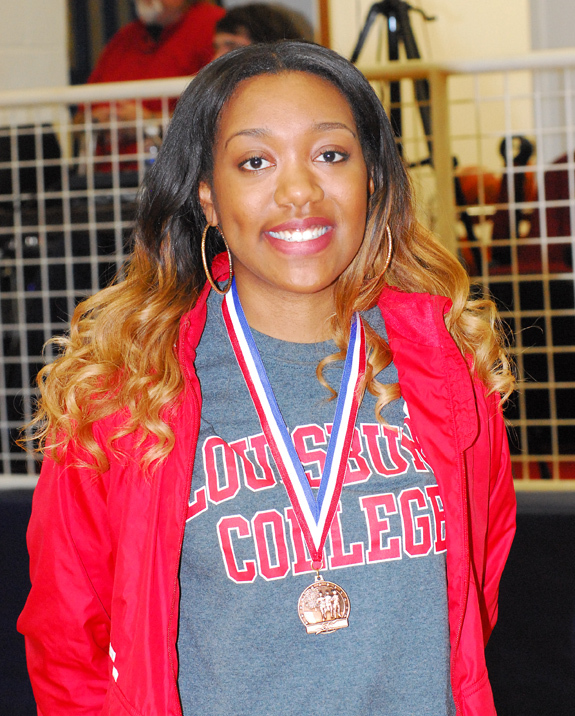 Franklinton High School alum Michaela Greene, who is a member of the Louisburg College cross country squad, was among the honorees at last Wednesday's LC Student-Athlete Awards Ceremony at Taylor Center. Many people, if asked to name one historic site that symbolizes Franklin County's history, architecture, and landscape, would immediately think of Laurel Mill on Sandy Creek. Once the location of a cotton gin, yarn-spinning plant, and saw mill, this iconic grist mill is nestled beside a rock-laden stream and surrounded by beautiful trees. Laurel Mill, Cascine Mill on Cedar Creek, Clifton's Mill in the southern part of the county, and others were social centers during a simpler time when neighboring farmers brought their corn and wheat to a local miller, who ground it into corn meal and flour. In observance of Black History Month, the Franklin County Arts Council will host a reading and short talk by author R.J. McCarthy, from his recently released historical fiction novel, "Wilhelmina: An Imagined Memoir." The free event will be Saturday, Feb. 13 from 2 until 4 pm. at the FCAC Gallery, 22 S. Main St. downtown, Franklinton. Refreshments will be served and copies of the book will be available for purchase. 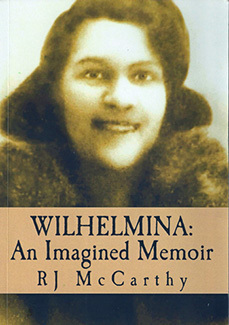 McCarthy describes, as in the title, his book as the imagined memoir of Wilhelmina Johnson Hamlin, who died in 1930, shortly after the birth of her sixth child. She was only 26 years old. Previously funded projects include attendance at professional development workshops and conferences, purchase of art equipment to aid in the production of artwork, production of new works and production of promotional materials, such as a portfolio or demo tape. Louisburg College in conjunction with Louisburg United Methodist Church (LUMC) is offering a service for anyone in the community who would like to join together to praise our Lord at 7 p.m. Sundays. Whether you already have a church, or not, is not the question; these services are on Sunday evenings, and many of you can attend them, as well. Crosspointe began in August 2014 at Louisburg College Benson Chapel. 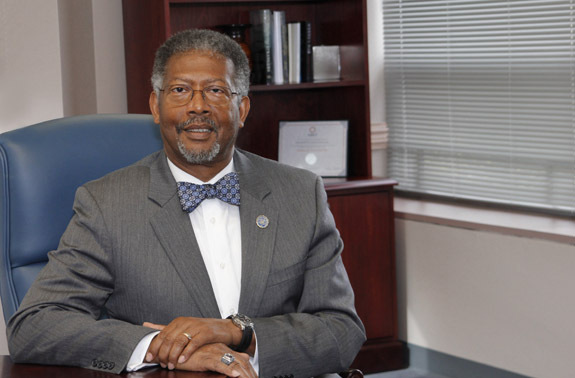 CHAPEL HILL -- The UNC Board of Governors appointed a Louisburg native as chancellor of Elizabeth City State University. Thomas E.H. Conway Jr., had served as ECSU's interim chancellor prior to his permanent appointment. Prior to his time at ECSU, Conway served as vice chancellor and chief of staff at Fayetteville State University. At ECSU, he succeeds Stacey Franklin Jones, who stepped down from the post on Dec. 31. Louisburg College will take part in a special event to mark the 400th anniversary of William Shakespeare's death, as the North Carolina Museum of History and Burning Coal Theatre Company present the Shakespeare Marathon, April 23-28. 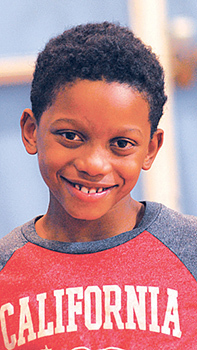 Various theater companies throughout the state have been chosen to read one of Shakespeare's plays during this non-stop, around-the-clock event at the Museum of History in Raleigh. Listed below are the Fall 2015 Franklin County graduates of Appalachian State University in Boone. Also listed are the Franklin County students named to the Chancellor's List or Dean's List. Six Louisburg College students have been selected to lead a panel discussion February 26 at the 16th annual Undergraduate Honors Symposium, hosted by the Lloyd International Honors College at the University of North Carolina at Greensboro. The students are Kiante Brewer, Ivan Cockman, Natalie Manning, Hank Niblock, Robert Smith and Colton Young. LOUISBURG -- After the State Supreme Court cleared the way for a Youngsville business group to open a shooting range in Franklin County, county staff took aim at its ordinance: changing it to reflect the law of the land. At the end of 2012, county commissioners denied a request by Aaron Byrd and Eric Coombs to open a shooting range in the north central part of the county. A court battle ensued and, ultimately, the State Supreme Court reversed an appeals court ruling and paved the way for the shooting range. 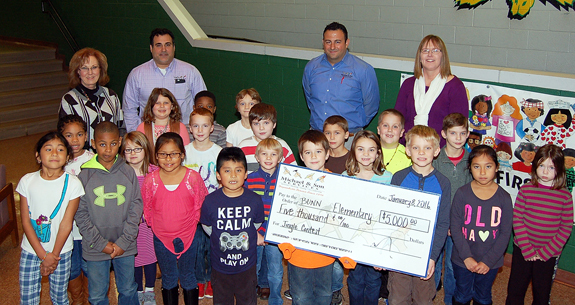 Michael & Son Services owner Basim Mansour, background, second from left, presented Bunn Elementary School teacher Lisa Barham's (back, right) second-grade class with a check for $5,000 after they won the company's jingle contest. The class, with the help of a student's dad, put together a video performing the jingle and it got the most response. Principal Jewel Eason, back, left, said the money would be used to put a new LED sign in front of the school. Michael & Son's Raleigh manager, Lou Rizkallah, back, right, also made the presentation. LOUISBURG -- County officials reminded the public that they remain committed to bringing health care back to Franklin County. They aren't to blame, though, for why Novant left, said Commission Chair Sidney Dunston. Novant Health closed Franklin Medical Center in October -- a week after it made the news public. The closure came a year after Novant slashed its workforce, closed three primary care practices and cut the hospital back to, essentially, an emergency room and two beds. 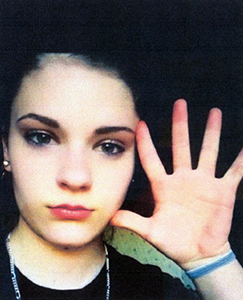 Franklin County authorities are looking for a missing teenager. Bionca Jo-Anne Lardon, 14, was last seen in the 2000 block of Sid Mitchell Road near Youngsville the afternoon of Feb. 2. The 5-foot 4-inch teen was wearing blue jeans, a grey hooded sweatshirt with "Hollister" written on it, and black canvas shoes. Anyone with information is asked to contact the sheriff's office at (919) 496-2186 or call 911. Officials with United Way of Franklin County are encouraging those earning $62,000 or less to keep more of their hard-earned money this tax season by using a free, online tax preparation service and accessing valuable tax credits. A new national survey finds 72 percent of working Americans making that amount or less are unaware they qualify for free tax filing and counseling. The survey, conducted for United Way Worldwide, finds that most respondents are unfamiliar with MyFreeTaxes, a mobile-optimized software program allowing free federal and state tax preparation and filing in all 50 states and Washington, DC. 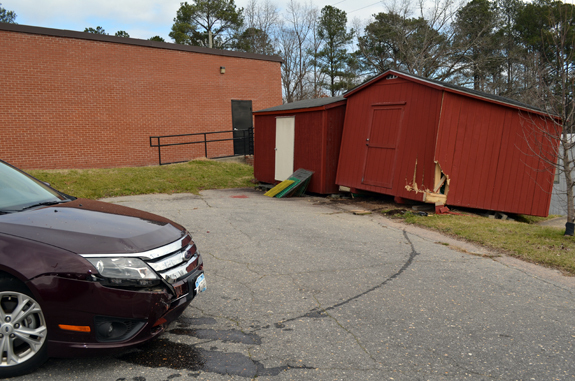 A 91-year-old woman was not seriously injured Tuesday morning when she crashed the car she was driving into a shed building at the county's Cooperative Extension office. Police said she was attempting to park when she struck the shed, knocking it off its foundation. LOUISBURG -- Louisburg police are investigating a theft reported at a closing business. A man at a sweesptakes cafe on Nash Street reported over the weekend that someone broke into the business and stole a 55-inch television. The business was in the process of closing as prosecutors are beginning to crack down on the operations. The power was being shut off to the business, police said. LOUISBURG -- The county's false alarm ordinance took effect last month, meaning anyone with a penchant for prompting emergency responses on pseudo fire calls could start paying up. So far, though, no one has run afoul of the ordinance, county staff said. "The goal," said county Emergency Communications Director Christy Shearin, "is to reduce the amount of false alarms that responders are going out to, freeing them up for other emergency assistance." The owner of Cola Café recently invited former customers to join her at the café for a holiday celebration. 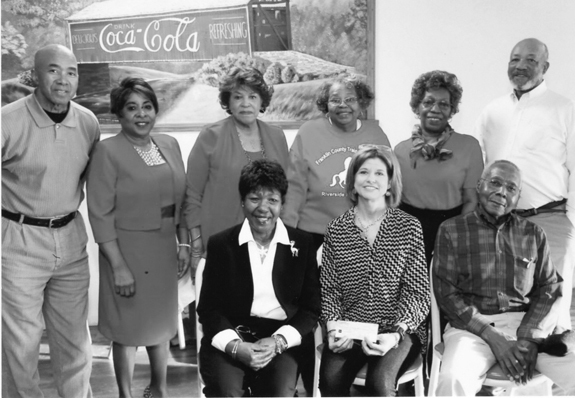 Some of her former customers, along with Franklin County Training School/Riverside Alumni Association members, were served a home-cooked meal. The Association presented Karen Wilson, representative from the Franklin County Department of Social Services, a $200 check to assist in spreading cheer to needy residents of Franklin County.